This weekend, snowfall records were broken throughout Metro Vancouver. Municipal crews throughout the region have been tirelessly working to clear snow from our roads, and in some cases sidewalks and bike lanes. Just like in December, I must commend our City of Langley staff for doing a fantastic job of keeping our roads and city-maintained sidewalks and paths clear. While City crews may not get to every side street instantly, our policy is to clear ever single street within our borders. For more information on road, path, and sidewalk clearing priorities, please visit the City of Langley’s website. Like most municipalities, the majority of our sidewalks are cleared by property owners who have sidewalks parallel to their property lines. Looking at the state of sidewalks in other municipalities this weekend, and the Surrey-section of Fraser Highway this morning, Langley City property owners are doing an above average job of keeping sidewalks cleared. One of the things that some people forget to clear are curb letdowns. While I’m able-bodied, and can walk through snow drifts that can pile up at intersections, may people cannot. 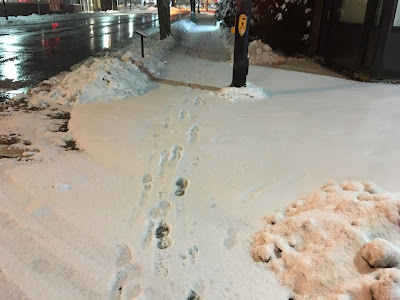 For seniors, people with limited-mobility, or people that require mobility-aids, these snow drifts can mean not going to the grocery store, a medical appointment, or visiting friends. On my walk to the bus loop this morning along 204th Street, all but two intersections had cleared curb letdowns. The following pictures are from 204th Street and Douglas Crescent this morning. The first picture shows how intersections should be cleared. The second pictures show the barrier that is created when curb letdowns are not cleared. 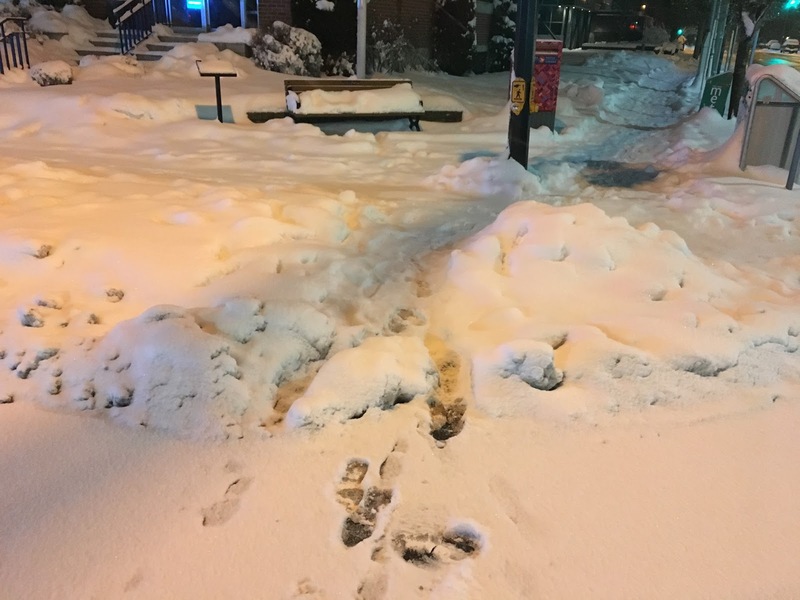 Keeping curb letdowns clear ensures that access can be maintained for all people. Select image to enlarge. Creating barrier when curb letdowns are not cleared. Select image to enlarge. Keeping our streets and sidewalks clear when it snows is critical to maintaining accessibility for all people in our community, no matter their mode of travel or level of mobility.